Fresh off Best Books season, the editors at School Library Journal have curated another Sneak Peek at the must-have kid and YA lit works releasing in the upcoming months. We tried our best to winnow down the list to 100 titles, but there were just too many good and exciting books being published in 2017. So, here are approximately 150 books instead! While we have already read, reviewed, and even starred a handful of titles included in this guide, the vast majority were selected by the editors based upon the strong reputation of the author or illustrator, the interesting subject matter, or advanced buzz about particular titles. We tried to offer a balanced mix of popular works that will circulate well in most libraries as well as spotlight offerings that may be a bit more under-the-radar. The Texas Library Association compiles a list of graphic novels appropriate for K-5 students every year. The attached list of titles for 2017 has been vetted by a committee of school librarians. The purpose of the list is to expose students to the graphic novel format. The collection of titles on the list is intended for recreational reading and it not designed to support any specific type of curriculum. El día de los niños/El día de los libros (Children's Day/Book Day), commonly known as Día, is a celebration of children, families, and reading that emphasizes the importance of literacy for children of all linguistic and cultural backgrounds. The South Omaha Branch library is partnering with local school libraries to organize this year's Día. This year's event is Saturday, April 22, tentatively from 12:00 to 5:00 and targets all schools that are served by the South Omaha Branch. Currently, Gateway is working on developing craft stations for the event. We are looking for librarians who may be willing to volunteer and share/host a craft. It is intended to be a cultural experience, with focus on Latino and Sudanese culture (since that is the population served at the South Branch). If you want to participate, please email Diana Casey. Library services will host a table with information on the Summer Reading programs. You’re probably already familiar with many of the genre headings NoveList uses, like Romances, Science fiction, and Historical fiction. But we also have genre headings that gesture toward a given book's form, point of view, or distinguishing characteristics. 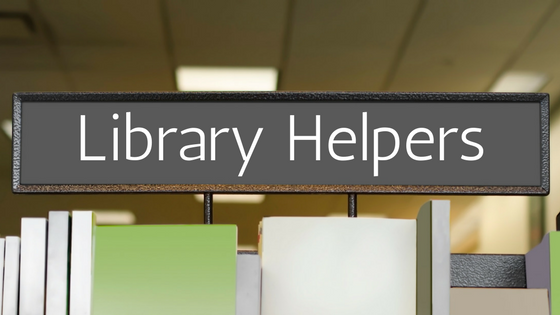 We call these our “Library helper” genres. These headings provide specific and unique access points across the traditional genres. Let’s take a look! Educators from across the country are encouraged to enter the 2017 PBS Digital Innovators Program. Entrants are asked to submit a 60- to 180-second “mini-presentation” video to show how they’re using resources from PBS LearningMedia, the free media-on-demand service for classrooms from PBS and the WGBH Educational Foundation, along with digital technology and tools in their classroom, to enhance their teaching and inspire a love of learning in their students. Entrants will also be asked to complete a profile and answer a short essay question. A panel of judges will select one educator from each state throughout the United States, its territories, and the District of Columbia as PBS Digital Innovators. The Digital Innovators will receive a three-day, all-expenses-paid trip to San Antonio, Texas, June 24–26, to participate in the 2017 PBS Digital Innovators Summit and the International Society for Technology in Education (ISTE) conference. All PBS Digital Innovators will also receive ongoing professional development opportunities, including virtual trainings focused on digital best practices, access to resources from PBS LearningMedia Custom, invitations to special events, a free PBS TeacherLine professional development course, networking opportunities, and more. In addition, PBS Digital Innovators will receive ongoing support from, and opportunities to work with, their local PBS member stations. 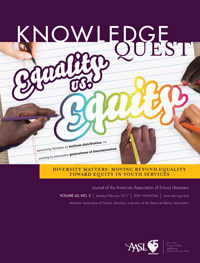 Ultimately, we used one specific question to determine an item's inclusion in the list: Will this resource help a librarian who services children and youth become better informed about how to effectively serve a diverse body of patrons? The article offers the author's insights on several concepts for culturally responsive teaching strategies. Among the concepts include incorporating students' culture into learning, addressing race or racial identity, and visibility and proximity. It also mentioned the academic success of students of color when their race is acknowledged. C-SPAN Classroom has a new lesson plan that is timely given the recent discussions about fake news stories created and shared through social media. Media Literacy & Fake News is a free lesson plan based on five C-SPAN videos featuring authors and other experts talking about the role of media in influencing how people think about political topics. Two of the video clips used in the lesson are titled “Fake News” Sites and Effects on Democracy and Role of Media and Fake News. The last video in the lesson plan, Satire vs Fake News, features writers from The Onion talking about political satire versus misinformation. You want to be informed, but a good deal of the information out there is incorrect or biased. Here are some things to keep an eye out for when reading a news article. As a leading voice of the maker movement, Make: publishes tested projects, skill-building tutorials, in-depth reviews, and inspirational stories, accessible by all ages and skill ranges. Project categories include craft and design, digital fabrication, drones and vehicles, science, technology, and more. The Make: website provides an online 3D Printer Buyer’s Guide (updated for 2017), as well as an online Boards Guide and Drones Guide. The webzine also shares information on Maker Faires taking place all over the world and provides a page where educators can explore opportunities in their area. Educators can choose a print and digital subscription (six bimonthly print issues, an iPad version, and digital PDF), or they can subscribe to a print or digital edition only; details related to each option appear on the Make: website. Subscribers of all options will receive the Make: News eNewsletter.